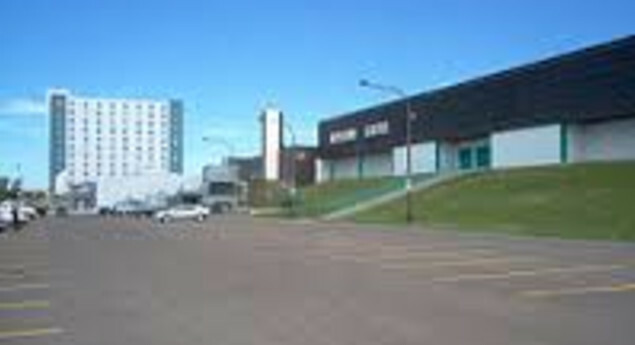 The Keystone Centre is a multi-purpose facility located in Brandon, Manitoba, Canada. Its main 5,102-seat arena, Westman Communication Group Place, is the home of the Brandon Wheat Kings of the Western Hockey League and the annual Royal Manitoba Winter Fair. Aside from Westman Communications Group Place, the Keystone Centre also features an exhibition hall for trade shows and agricultural events, two smaller hockey arenas, and the Brandon Curling Club. A hotel complex operated by Canada Inns is located adjacent to the Keystone Centre and features accommodations, a waterpark, restaurant, pub, and gaming lounge. Photo Credit: "Keystone Centre." Wikipedia. Wikimedia Foundation, n.d. Web. 05 Aug. 2016. . Text Credit: "Keystone Centre." Wikipedia. Wikimedia Foundation, n.d. Web. 05 Aug. 2016. .
Great place to catch sports and shows. Nice facility for the prairie folk and always something different happening. What hockey team calls the Keystone centre home? Photo: "Keystone Centre." Wikipedia. Wikimedia Foundation, n.d. Web. 05 Aug. 2016. .